So did you start out in the 80s with Mac User, or was it Mac World. Maybe you were more into the PC world pushed by IBM. Or perhaps you even go back to 1975 with the magazine called BYTE, launched the first wave of periodicals for early computer hobbyists. What ever you were into you have to agree that computer magazines are still big business, but boy how they date. One of my favorite magazines was Personal Computer World. One of the thrills was to take the code in the magazine and spend 5 hours typing the code into your PC to find it just crashed. Hours wasted, but the excitement and thrill kept you going back for more. How things have changes. Early 80s saw big names and small compete as Clive Sinclair released his PC and the magazines followed competing against Vic 20 and Amigas. 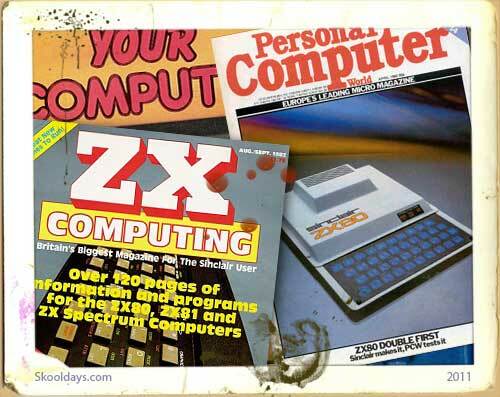 80s Magazine titles included Your Computer, ZX Computing, Practical Computing, Macworld, Macazine, Personal Computer World, MacUser and Macintouch. During that time, Apple licensed AdobeSystems’ PostScript system, which when coupled with Aldus Corporation’s PageMaker software, enabled users to produce professional quality documents, including magazines at a fraction of the budget! Looking back is it all geeky? Actually i think the late 70s and early 80’s computer magazines had a real charm that I’m really glad we took time to look at, do you agree?